Introducing a tough new towing and recovery company...Welcome to DC Trails Bus Repair and Towing. Our certified towing and recovery operations are available to assist you 7 days a week 365 days a year. No matter what type of weather, we'll be there to help you in your time of need. We realize that when you call, things could be much better, that's why we strive to make an otherwise unpleasant situation as painless as possible by offering you a top-notch customer service and timely recovery. 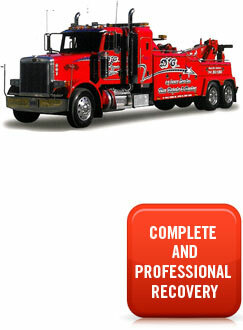 Our heavy duty towing equipment is specialized to deal with heaviest trucks on the road today. We look forward to assisting you with the toughest challenges out there and as you'll experience our state-of-the-art equipment will handle any recovery job with ease. Our mission is to provide safe, fast and professional towing to bus companies and independent owner/operators in the Washington DC Metropolitan area at affordable rates. DC Trails, inc Towing and Bus Repair is committed to earning you business and maintaining a professional partnership for years to come. We know how important it is to your company's bottom line to get you running and back on the road as quickly as possible. Of course, providing safe transportation is always our main priority. Our vehicles are equipped with the latest under lift technology and equipment to tow your bus damage free. We specialize in the Washington, DC Metropolitan area - one of the heaviest travelled corridors in the United States. Our goal is to first, get you to safety, repair your vehicle and get you back on the road. With you heavy duty wreckers, service trucks, and our state of the art repair facility , we're equipped to handle nearly any needs you may require. Our service fleet provides emergency road service for taking care of dead batteries, flat tires and other repairs that don't require your vehicles to be towed to our state of the art repair facility. Additionally, our service fleet is equipped to jump start your vehicle without causing damage to your vehicle's computer system.